When one thinks of the Melton Family Singers, one thinks of George Melton. On May 15, 2010, George went home to be with the Lord. George was a man with a heart for God, desiring to use his voice to spread the gospel message. He was faithful to this calling for more than 50 years. In high school he began singing in a Gospel Quartet. He then went to college and sang with an a cappella group called the “Ambassadors” for five years. In 1961 George joined the “Claiborne Brothers Quartet” in Southern California. From there he went north to Fresno and joined the ministry of the “Gospelaires”. In 1968 George formed the “Gospel Lads”. For five years he traveled and sang with these men and God blessed their ministry. Part of the original group of the “Gospel Lads” are still singing. The Lads have been ministering for over thirty years. People have come to know the Lord, young people have been directed to Christian Bible Colleges, and still others have sought a career in Gospel Music. God had given George one of the highest tenor voices in modern Gospel Music. He had been offered many positions in the entertainment field, but felt that God called him to minister to Churches across the nation. While singing with the Claiborne Brothers Quartet, a young lady with a beautiful voice (Nedra), sang in a trio at several of their concerts. It wasn’t long before love took over and the two were married. In 1973 George left the Gospel Lad’s and moved to Peoria, Illinois. George and Nedra began singing together around the area. The children grew, their voices matured, and one by one they began singing with Mom & Dad. With this the “Melton Family Singers” became established. Each of the children have sung in the group at one time or another. Rhonda, David, Rachel, Kenny, & Andy are all loving and serving the Lord today. 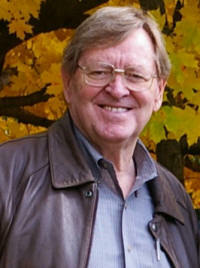 George Melton & Southern Gospel Music have been synonymous for 50 years. Since his boyhood days in southern Illinois, George has continued to use the clear, high range of his gifted first tenor voice in beautiful proclamation of the Gospel in song. At the 2003 North American Christian Convention in Indianapolis, IN, George was honored for fifty years of faithful service in the ministry. The NACC sponsored a luncheon On July 9th in tribute to George. Over, 1200 people were on hand to honor him for his fifty years in Gospel Music. Wayne Smith hosted the afternoon and following the meal there was a concert featuring George. His family sang several songs with him. Then members of groups George sang in during his career got a chance to sing with him and be a part of this tribute. Wayne Smith presented George with a plaque from the NACC. thanking him for his commitment. The highlight of the afternoon was when George was given a beautiful ring in honor of his Fifty years in Gospel Music. The afternoon was very memorable and enjoyable. Among his musical credits come names like the Ambassadors Quartet at Cincinnati Bible Seminary; The Claiborne Brothers Quartet of the early 60’s, and The Gospelaires Quartet of Southern California. All are known for their proclamation of the Gospel through music. 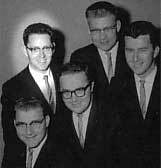 In 1967, George and his friends organized “The Gospel Lads” Quartet. George was with the quartet for nearly six of the twenty five years they have traveled from coast to coast and around the world. George was the first tenor of this extraordinary acapella quartet during his college days at Cincinnati Bible Seminary. The group sang together with various members for five years. This quartet set the stage for George to know this was what he wanted to do for the rest of his life. In 1961, George came to California, straight from Cincinnati Bible Seminary, to join his first full-time gospel singing group, the Claiborne Brothers. This family of four brothers had been performing around the Southern California area for many years. With time, they opened the group to non-family members and George became their tenor. While George was with them, the Claiborne’s traveled nation wide. One of the highlights was getting to sing at the World’s Fair in Seattle, Washington in the summer of 1961. It was also during 1961 that George met Nedra and the next year they became man and wife. The Gospelaires quartet originated in Fresno, California with Don Smith as their bass and manager. 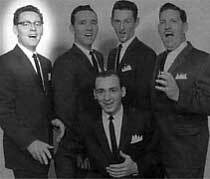 Before moving to Fresno and starting his own group, Don had sung with the famous Blackwood Brothers. George and Nedra moved to Fresno in 1963 and George joined the Gospelaires Quartet. This was a part-time group and sang mostly in Central and Northern California. While living in Fresno, George worked for Gospel Music & Supply Co., owned by Don, and managed the store’s piano department. George sang with the Gospelaires until 1965. 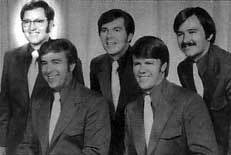 The Gospel Lads started in Southern California in 1968. George’s dream was to have a group that was totally sold out to Gospel Music as a way of delivering the Good News message of Christianity. When he met Murry Hollis, Pete Ingraham, and Mel Taylor, he knew he had met men who shared the same passion for Gospel Music as he did. Later they added Dave Scroggins as their bass and became a quartet. The Lads have had a long and exciting history. The original group sang together for five years, moving in 1970 to Joplin, Missouri to become a nation-wide full-time traveling group. George left the group in 1972, but the Lads went on and continue to minister yet today. The Melton Family Singers began in 1973 with just, George and Nedra Melton. This husband and wife duet sang for hundreds of concerts while raising their family in East Peoria, IL. As the children grew and developed their talents they began to sing with their parents. All the children (Rhonda, David, Rachel, Kenny, and Andy) sang with the group throughout their childhood and still enjoy performing today. The group began traveling full-time in 1987 when David committed to stay with George, Nedra and Andy to make it his ministry too. Two years later, Kenny began singing with the family, making music his life’s ministry as well. He traveled with the family for several years before starting CROSSWALK. In 1999 David married Krista Kuhns. She brought a beautiful Southern Gospel voice. In 2008 David and Krista began a located ministry in Ravenwood, MO at the Ravenwood Christian Church. 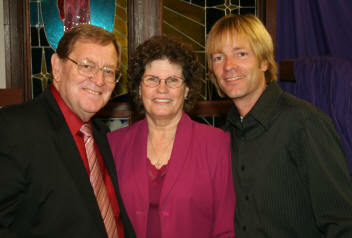 In 2008 Kenny started traveling again with his parents to make up the current Melton Family Singers. The family is traveling to all parts of the United States ministering to churches. In 2010 Rhonda started traveling with Kenny and her Mom to make up the current Melton Family Singers. The family is traveling to all parts of the United States ministering to churches. In 2012 David, Krista, and their family went back out on the road ministering to churches. Throughout the years, the Melton Family Singers have had many voices, but their purpose has remained the same: love of family and love for the ministry through Gospel Music.